Dude. Everything has been going by so fast! There's only about three weeks of school left (and my birthday's on the last day of school). I'm going to Hawaii this summer and then getting a car and going to college. Puppy is SO BIG compared to four months ago, though he's still the smallest puppy I've ever had (I'll post pictures soon). I'm driving myself places and stuffs. I had my first and only AP test ever (Environmental Science)!! It was very scary. I also gave a speech in Writing Composition, which was also very scary and I'm incredibly happy to be done with these things. I'm really into polaroids and going to thrift stores and weird things. I shall tell you about one of the weird things right now. 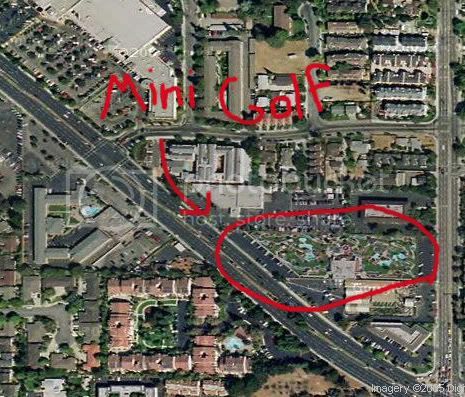 Not far from my house, there is a miniature golf course. 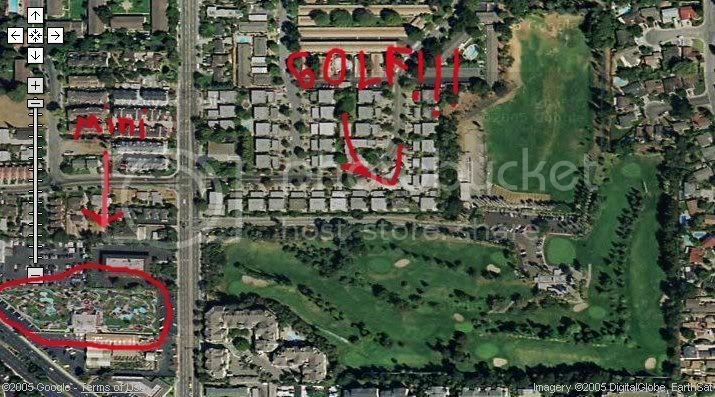 Right across from it is a regular golf course (well, nine holes). BUT....you can't SEE the regular golf course. You wouldn't know it was there unless you read the sign. You see, it used to be a quarry, and then when it was no longer needed, they turned it into a golf course. I've known about it since I was little, since I've lived in the area all my life. I even remember going down the short, steep road when my grandparents took me to brunch at the little diner there when I was reeeeally little. On Friday, I went driving around on my own for the first time, and I decided to check it out. It was cool, but really weird. It's called Sunken Gardens Golf Course, and it's just so big compared to the miniature golf course. I mean, of course it's bigger, but it's just weird because YOU CAN'T SEE IT AT ALL FROM THE OUTSIDE. it tripped me out SO HARD the first time you told me about that.